This text has been transcribed from the original oral history interview with Mr Owen Collier – Royal Wootton Bassett’s Town Crier and ‘Prime Warden of the Guild of Mace Bearers’. My great uncles served in the First World War. 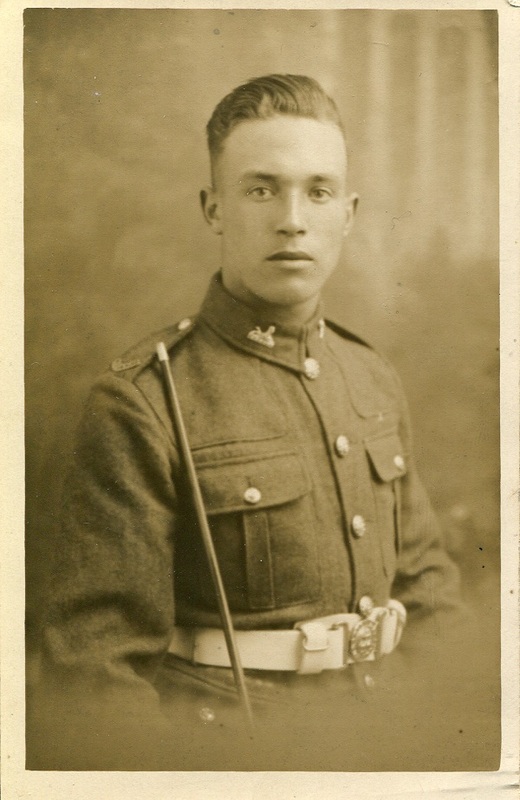 Obviously, with myself being born very late I’ve had to talk to some elderly relatives to find some information, but it would be my great uncle William Willoughby, served in the actual Wiltshire Regiment during the First World War, and he also fought in the second. Now his army number – he’s got an army number for the First World War where he actually served in the Wiltshire Regiment, and in the Second World War he fought in the Yeomanry. I got the information from talking to one of his… the youngest brother called Alfonso Henry Willoughby – often referred to as ‘Monty’ – and he said to me ‘Yeah’ he said… ‘my older brother William had a rough old time of it in the first world war’. They actually put him with the horses and this is where he got very experienced with the horses… that when world war two broke out, with the shortage of tanks, they thought he’d be the ideal candidate to join the actual Yeomanry that was still using horses at that time. And so he’s actually got first and Second World War medals. William (Jim) Willoughby, apprx. 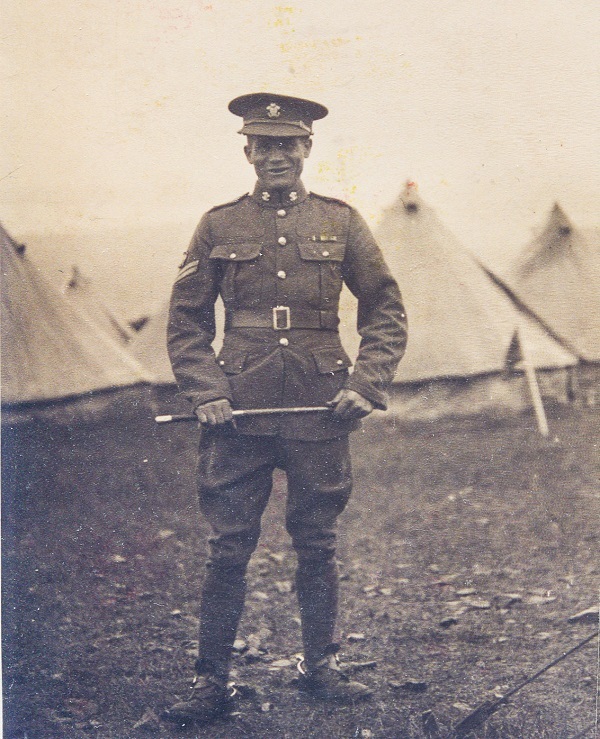 1914 in his Army Veterinary Corps uniform. Army No.22023 (Owen’s Great Uncle). Jim lied about his age in order to enlist at 15! Alphonso ‘Monty’ Henry Willoughby (Owen’s Uncle), Apprx. 1928 in his Gloucester Regiment Uniform. Monty became a Prisoner Of War in WWII. At home I have a very old photo, and it was really dirty, and on the back of this photo he actually says ‘mother, please do not think I am dirty – for I have carried this photo in my pocket throughout the war’… and he looks very young, because he was under age when he joined. This is what was scribbled on the back of this rather dirty and tatty photograph – the original I’ve donated to the Wilts and Berkshire Regimental Museum at Salisbury. Jim Willoughby apprx. 1939-1945 in his Wiltshire Yeomanry uniform, Army No.545549. Having become experienced with horses in WW1, Jim had his work cut out! Photo taken at Minehead, Somerset. He did have a younger sister called Jessie, and she married Alfie Willis. Now this would be my mum’s aunt Jessie, and obviously that would’ve been my Great Aunt. She lived in Hyde Road, Blunsdon, and she married Alfie Willis, who was a Wiltshire Regimental soldier, who’s medals that I have. They did have a young son, who, I was told, passed away with TB. 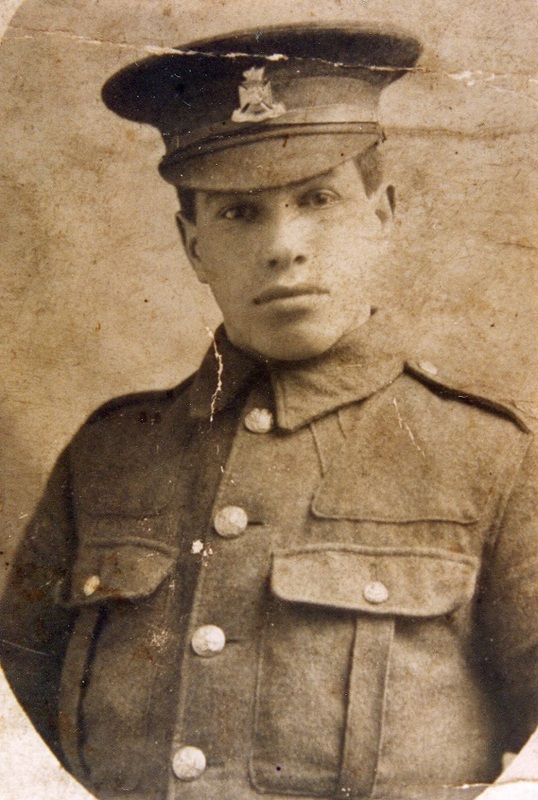 Alfie Willis, although I have an army number for him, I don’t know whether he perished in the Great War or shortly afterwards. My mother, Betty Willoughby (married name Betty Collier) did actually say poor old Jessie was overcome with grief – losing both her young son and her husband – that they actually committed her to the mental institute at Roundway Down, at the Roundway Down hospital at Devizes, where she spent the last years. 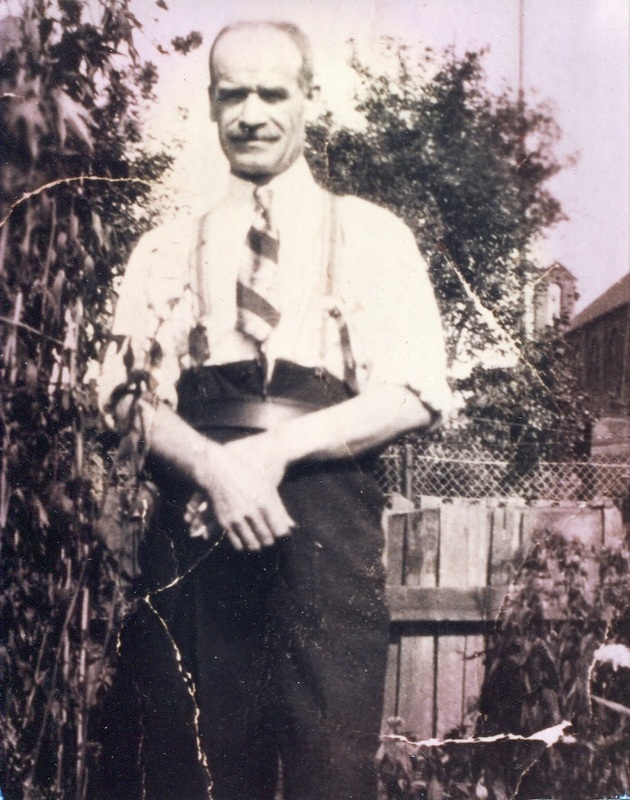 In the 1930’s her cottage was knocked down when the road was widened, in Hyde Road, and for many years, when we used to walk along Hyde Road, my mother used to say ‘well look there’s still Aunt Jessie’s apple tree, growing by the side of the road’. That would be on the old road, which is now shut off, between the Wyevale Garden Centre and the new junction on the 419, known as Turnpike. So that would be on the old bit of road, which I believe you can walk down, which is a footpath. 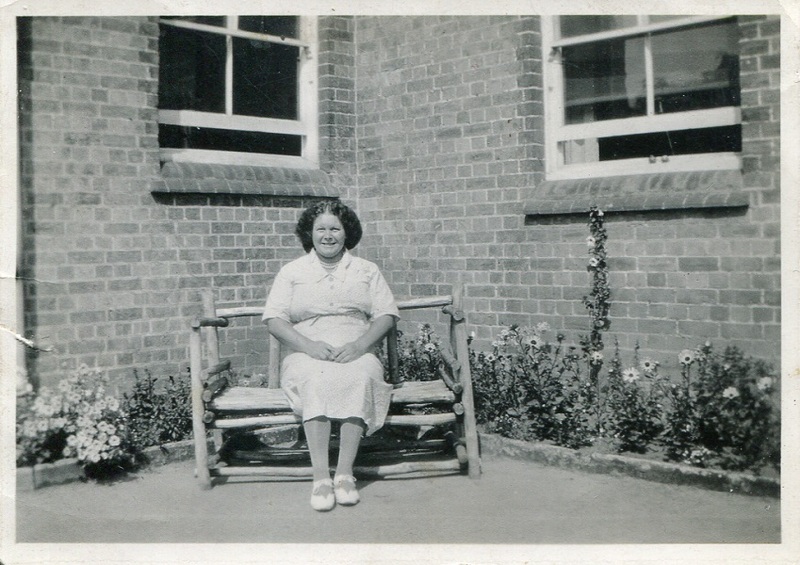 Jessie Willis (Owen’s Great Aunt) at Roundway Mental Asylum circa 1920’s. Tragically Jessie died soon after, overcome with grief. My grandfather was the Landlord of The Carriers Arms in South Marston. This was where Alfred Williams, ‘The Hammerman poet’ that served in the First World War, would often come and drink in my grandfather’s pub. Alfred Williams, besides serving in the First World War, wrote some books. One of them is called ‘A North Wiltshire Village’ – chapter 10 is dedicated to Mark Titcombe – this was my father’s uncle. So Alfred Williams knew my family very well at the start of the First World War, with them all coming from South Marston. On my wife’s side, this would be my grandfather (Robert Dixon), he was born at Braydon on 22nd June 1885, and he enlisted at Devizes in the Wiltshire Regiment as a reservist. He served 10 years… he left the engagement on 13th March 1912, which was 2 years prior to the outbreak of the First World War. Because he was one of the reservists, he was one of the first soldiers actually called up to go to the front, and there he was gassed, and he was sent back home to recuperate. One of the things that he learned was, he learned to embroider! He could do this magnificent embroidery, which was one of the things that the soldiers did in their spare time, that he was taught to help him recuperate. All I know is that he never was the same after being gassed, and unfortunately he died in 1950 having worked for the railways in Swindon – he died 64 years of age, 3 weeks before he was due to retire, and this was due to, I was told, him being gassed and being in poor health. All I have is a piece of paper here, which is rather dirty, which he carried in his pocket during the war. It’s got his age when he enlisted, and his height – he was 5’4″, his eyes were grey, his hair was light brown, and he was a Labourer… and that’s from his discharge papers. He also married a Dixon – his wife was Bertha Alice Dixon! Robert Dixon (Owen’s wife Sheila’s Grandfather), date unkown. Robert became a talented embroiderer, learning the craft whilst recovering from being gassed on the front lines.